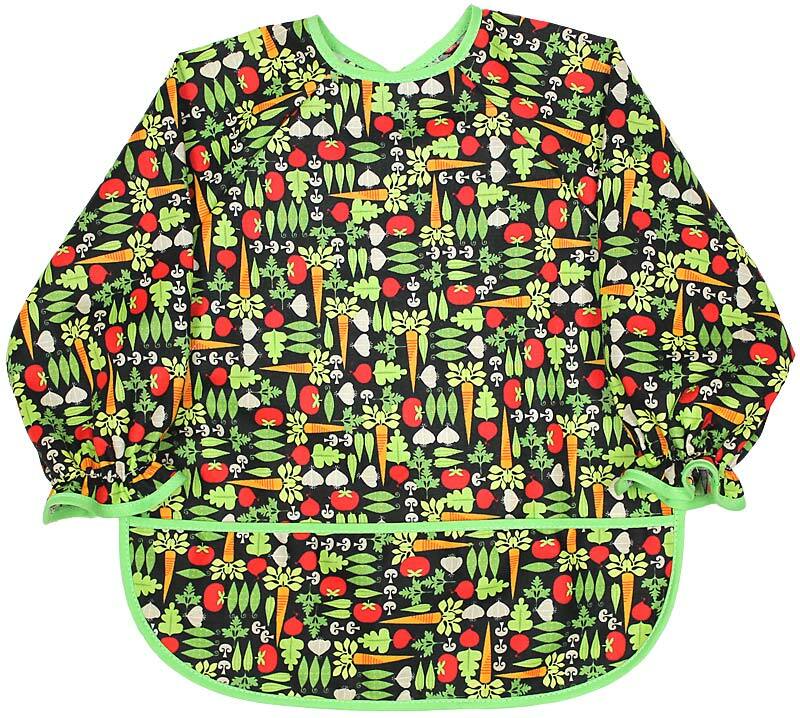 This veggies long sleeve bib is perfect for all babies and young toddlers who are learning to eat by themselves. 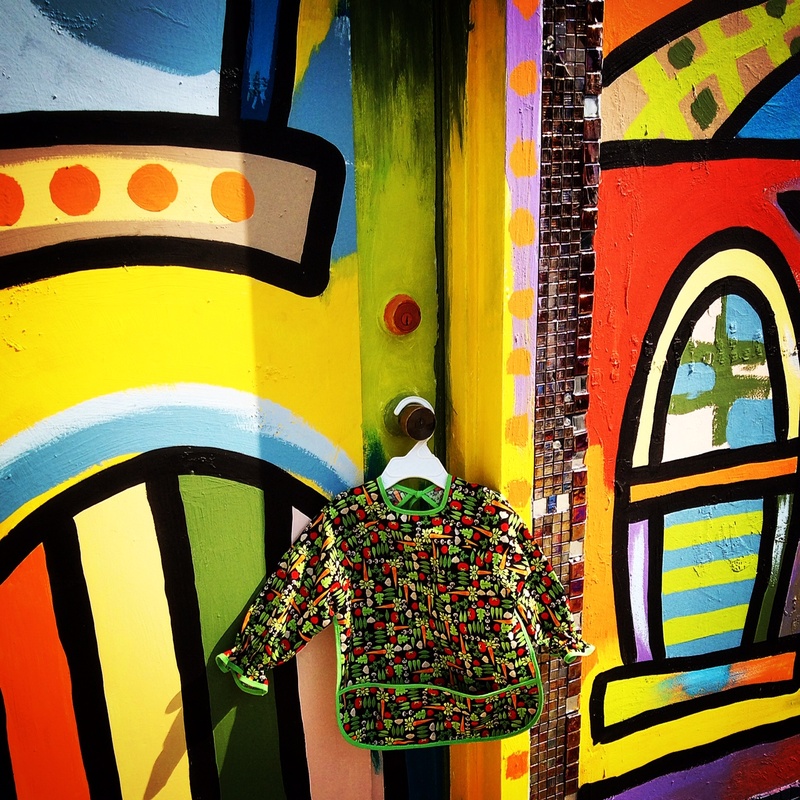 Major messes can be created, so why not protect the clothes and a lot of the baby, too? 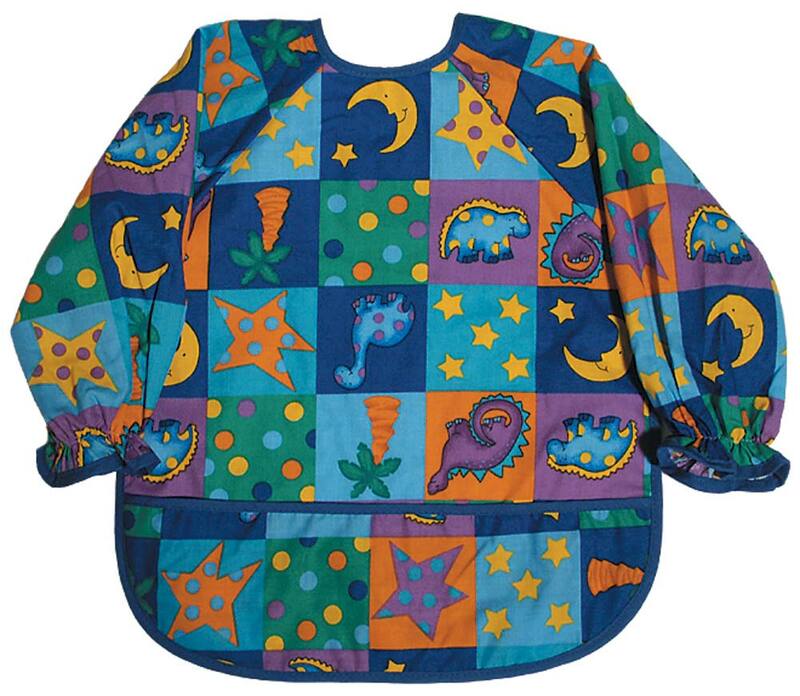 This large size will fit most 2 years olds and some 3 year olds, as well. Certainly, 1 years olds can begin using it. 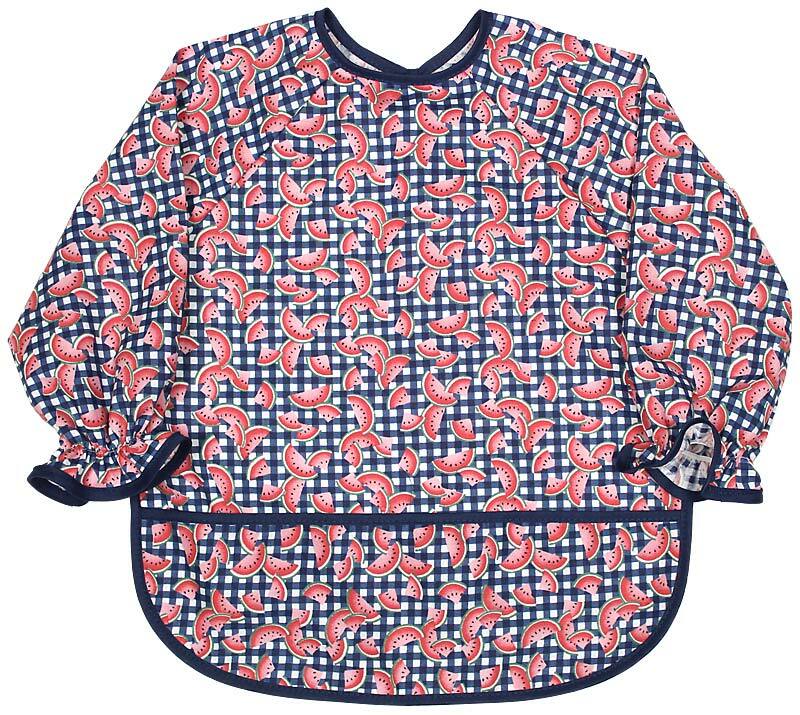 All of a child's basic feeding needs and more are met in this, made in America, 100% cotton broadcloth printed bib. 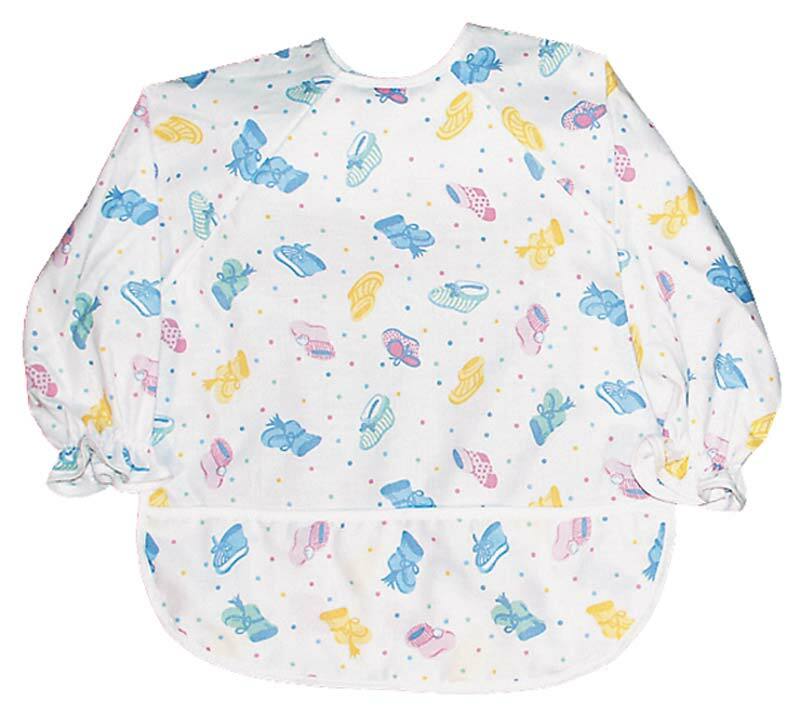 Why is this top quality bib so supper protective and soft next to baby's delicate skin? 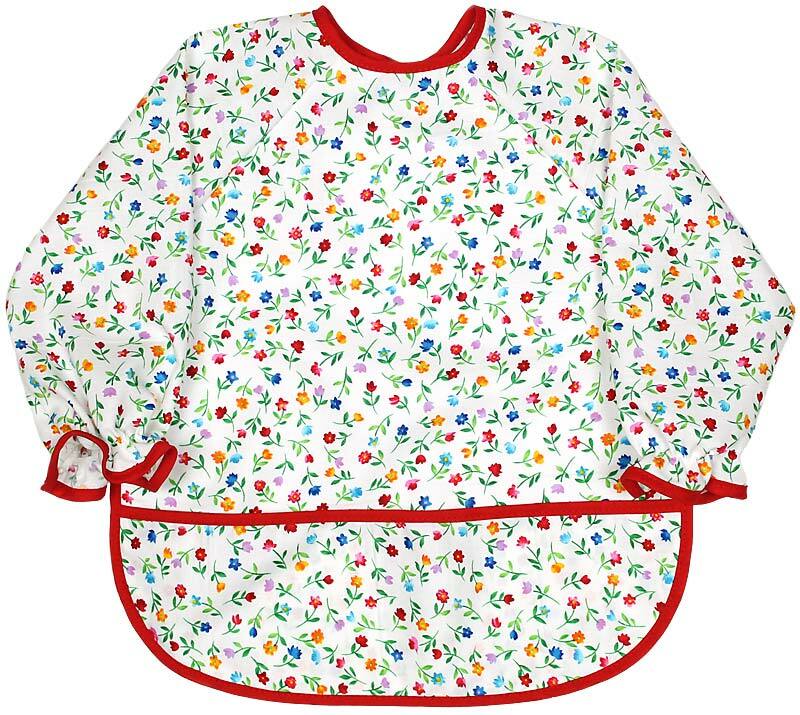 Because there is no polyester in our printed fabric and the nylon, water resistant backing is just on the body, not the sleeves, so a child does not overheat. It will continue to wear and wash beautifully and coordinate with a multitude of clothes. 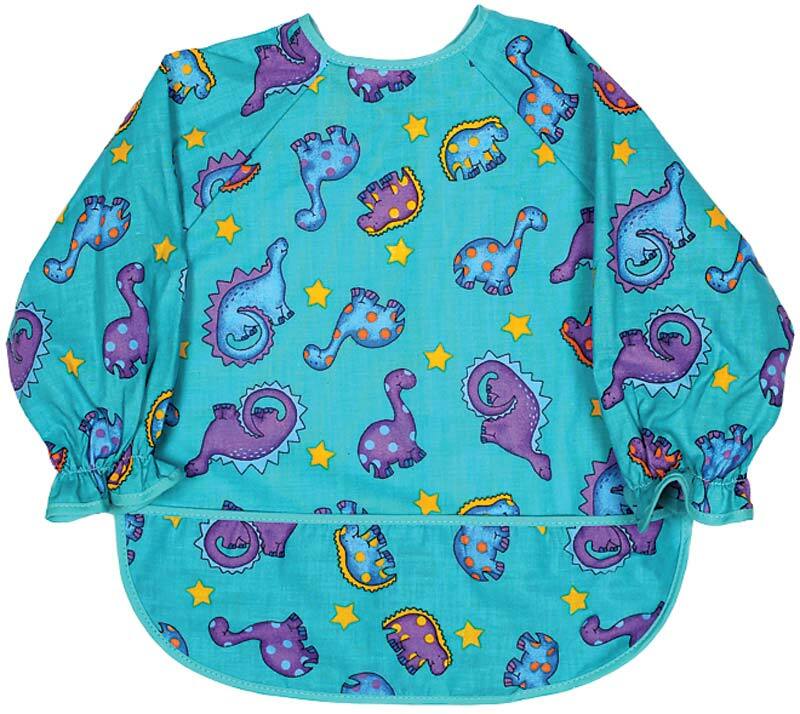 The eat your veggies print makes it unisex, which works for both boys and girls, but check out the watermelon picnic, sweet red floral, jade dinosaur, royal dinosaur, baby booties and the cool country bear prints too.